Details : Appr 235 pages, 26x26 cm (A4), hard cover, full color and b/w, Japanese and English text. Description : This is the complete catalogue for Inoue Takehiko: The Last Manga Exhibition, held in Ueno, Tokyo in May 2008. The book contains ALL the prints that appear in the exhibition, with behind the scene photographs, interviews and more. Comes with full English translation. Details : Appr 130 pages, 26x26 cm (A4), hard cover, full color and b/w, Japanese and English text. Limited to 7000 copies worldwide. Description : This is the official guidebook for Inoue Takehiko: The Last Manga Exhibition, held in Ueno, Tokyo, in May 2008. The book contains some prints that appear in the exhibition, and contains comprehensive documentation on how the exhibition was conceived, with behind the scene photographs, interviews and more. Description: The official making of dvd for Inoue Takehiko's The LAST Manga exhibition, held in Ueno, Japan in Summer 2008, an extension of his Vagabond comic series that centers on the life of legendary swordsman Miyamoto Musashi. DVD contains an in depth documentary on the process of Inoue-san's work, as well as a slideshow of all the pieces of artwork (more than 100) that were displayed at the exhibition. This DVD is only available in Japan. Water features Inoue’s masterful work in color. It also highlights artwork created specifically for this volume. 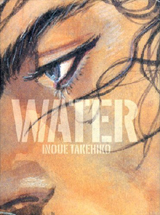 In a recent interview, Takehiko Inoue claimed that in his first major follow-up to Slam Dunk, he wanted to delve as deeply as possible into visual artistry. 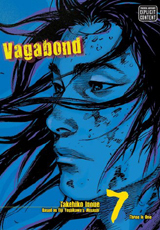 The result was the incredibly realized world of Vagabond, the Sistine Chapel of manga. This artbook captures the very best of Inoue's work, with images hand-selected by Inoue himself. Not one to skimp on color and image quality, Inoue also hand selected the specific printer. Water features Inoue’s masterful work in color. It also highlights artwork created specifically for this volume. 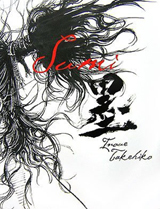 Sumi presents Inoue's magnificent pen and brush work in black and white. 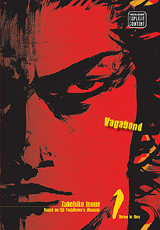 It also includes a behind the scenes look at Vagabond with rough sketches and photos of Inoue's studio. 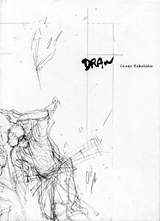 In a recent interview, Takehiko Inoue claimed that in his first major follow-up to Slam Dunk, he wanted to delve as deeply as possible into visual artistry. 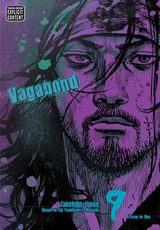 The result was the incredibly realized world of Vagabond, the Sistine Chapel of manga. This artbook captures the very best of Inoue's work, with images hand-selected by Inoue himself. Not one to skimp on reproduction and image quality, Inoue also hand selected the specific printer. 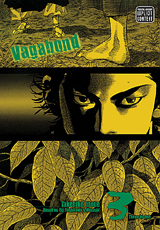 Description: Watch Inoue draw a draft of the Vagabond while being interviewed and more. Also Contains Appendix / drafts, manuscripts, photos and work desk. Real-life figure Miyamoto Musashi was the most celebrated samurai of all time. The quintessential warrior philosopher, Musashi authored A Book of Five Rings, a theoretical guide to military strategy still used today. But the path to enlightenment in feudal era Japan was fraught with peril. At seventeen years of age, Musashi--still known by his childhood name, Shinmen Takezo --was a wild young brute just setting out along the way of the sword. In the aftermath of the epic Battle of Sekigahara, Takezo finds himself a fugitive survivor on the losing side of the war. 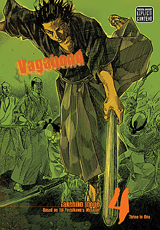 Takezo's vicious nature has made him an outcast even in his own village, and he is hunted down like an animal. 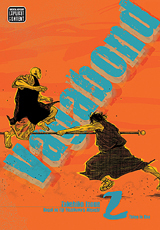 At this crucial crossroads in Takezo's life, an eccentric monk and a childhood friend are the only ones who can help him find his way. Real-life figure Miyamoto Musashi was the most celebrated samurai of all time. 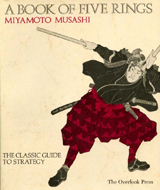 The quintessential warrior philosopher, Musashi authored A Book of Five Rings, a classic treatise in the canon of world philosophy and military strategy. But the path to enlightenment is an endless journey, and to get there through violent means--by way of the sword--makes mere survival an even greater challenge. Musashi sets out for Nara intent on challenging the warrior monks of legendary Hozoin Temple. But Musashi's growing feelings for his childhood friend Otsu may prove to be a fatal distraction in his match against Inshun, the austere master of Hozoin's deadly spear technique! Musashi suffers a humiliating defeat against Inshun, the second-generation master of Hôzôin Temple. To prepare for a rematch, Musashi undertakes an intense spiritual and physical training regimen with a most unlikely teacher--Inshun's predecessor, the founder of the Hozoin Spear Technique. To attain the focus necessary to take on the most technically proficient and deadliest fighter he has ever faced, Musashi will first have to confront his own deep-seated personal demons. Musashi endeavors to take on sword master Yagyû Sekishûsai, a man recognized by many to be the greatest swordsman of his time. But with Sekishûsai far past his prime, does Musashi truly believe that killing a seemingly helpless old man in his sleep will take him further along the path? In a remote seaside village, an abandoned infant is left to the care of a reclusive old man who has all but renounced the ways of the world. This helpless child is destined to become Sasaki Kojirô--the legendary archrival of Miyamoto Musashi. 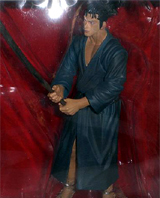 Inoue's unique take on this enigmatic figure lays the foundation for his fictional account of the most famous rivalry in Japanese history. Sasaki Kojirô is the man destined to become Miyamoto Musashi's greatest rival and opponent in the most well-known duel in the annals of Japanese history. As a deaf-mute young man coming of age in a remote seaside village, Kojirô's innate ability with the sword is compelling him to strive to become even better. 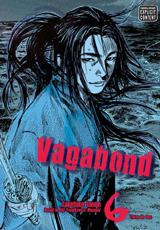 This drive takes him beyond the borders of his peaceful village into the violent and chaotic world of feudal era Japan in the midst of a bloody war. Striving for enlightenment by way of the sword, Miyamoto Musashi is prepared to cut down anyone who stands in his way. 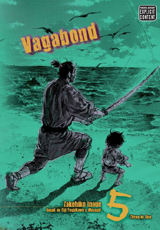 In the aftermath of the bloody Battle of Sekigahara, Sasaki Kojirō, the man destined to be Musashi's opponent in the most famous duel in Japanese history, finds himself alone amidst desperate refugees and vicious hunters. Despite being pushed to his limits, Kojirō is far from daunted by his peril and instead thrives with an almost supernatural serenity. 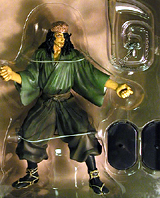 Driven by his macabre thirst for battle, Kojirō is transformed into the ultimate swordsman. Musashi has returned to Kyoto one year after he last attempted to take on the mighty Yoshioka School, and the entire city is abuzz anticipating the rematch to come. 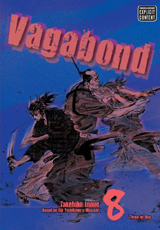 When the elder disciples of the Yoshioka discover the unbelievable progress Musashi has made along the way of the sword, they plot to defeat him however they can--even if it means resorting to dishonorable means. The Book of Five Rings is one of the most insightful texts on the subtle arts of confrontation and victory to emerge from Asian culture. Written not only for martial artists but for anyone who wants to apply the timeless principles of this text to their life, the book analyzes the process of struggle and mastery over conflict that underlies every level of human interaction. 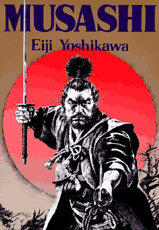 The Book of Five Rings was composed in 1643 by the famed duelist and undefeated samurai Miyamoto Musashi. 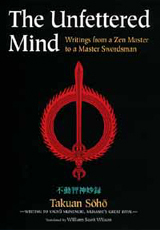 So succinct are the author's insights that these writings have outlasted the dissolution of the samurai class to come down to the present and be read for guidance and inspiration by the captains of business and industry, as well as those devoted to the practice of the martial arts in their modern form. Miyamoto Musashi, who lived in Japan in the fifteenth century, was a renowned samurai warrior. 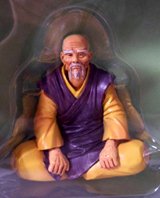 He has become a martial arts icon, known not just as an undefeated dueler, but also as a master of battlefield strategy. 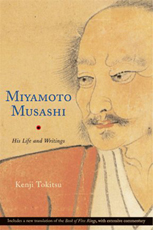 Kenji Tokitsu turns a critical eye on Musashi's life and writings, separating fact from fiction, and giving a clear picture of the man behind the myth. Musashi's best-known work, The Book of Five Rings , provides timeless insight into the nature of conflict. 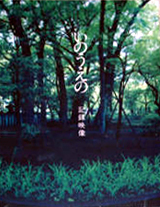 Tokitsu translates and provides extensive commentary on that popular work, as well as three other short texts on strategy that were written before it, and a longer, later work entitled "The Way to Be Followed Alone." 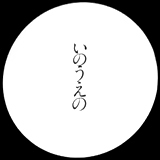 Tokitsu is a thoughtful and informed guide, putting the historical and philosophical aspects of the text into context, and illuminating the etymological nuances of particular Japanese words and phrases. As a modern martial artist and a scholar, Tokitsu provides a view of Musashi's life and ideas that is accessible and relevant to today's readers and martial arts students. Kenji Tokitsu was born in Japan and began studying martial arts when he was a child. He has taught karate in Paris since 1971. 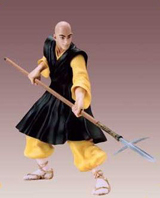 In 1984, he founded the Shaolin-mon school, where he teaches a synthesis of the original combat arts of Japan and China. In 2001, he established the Tokitsu-ryu Academy (www.tokitsu.com) to teach and promote his method. Tokitsu also holds doctorates in sociology and in Japanese language and civilization. 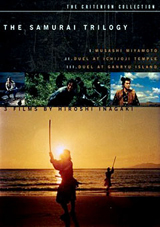 Based on the novel that has been called Japan's Gone With the Wind, Hiroshi Inagaki's acclaimed Samurai Trilogy is a sweeping saga of the legendary 17th-century samurai Musashi Miyamoto (portrayed by Toshiro Mifune) set against the turmoil of a devastating civil war. Now available for the first time together in a specially priced gift pack, the films follow Musashi's odyssey from unruly youth to enlightened warrior in an epic tale of combat, valor, and self-discovery. Realistic modeling of Musashi drawn by Mr. Takehiko Inoue. 3D visualization of frantic Musashi at the scene in consecutive fights. 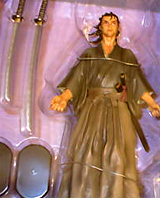 Sword made with die-cast. Sticking to real atmosphere of the sword. On the evening of Jun. 20th , 2008, Private View「Final Manga Exhibition by Takehiko Inoue」 in the Ueno Royal Museum. Everything started at that evening. "I want to build the figure of Musashi, if not complete, I couldn't be happier if manga artist Inoue catches a glimpse of the figure and give me a comment"
This project, which seems to be just a dream, started at that day by the passionate word of prototype designer Suzuki. 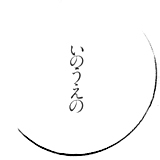 Anyway, we will do anything we can do for the great figure of Musashi and for manga artist Inoue's full satisfaction. Our success of this project will come after our effort. This was our password to this project. And then, more than a year have passed since that evening. At last, 「our dream」 with a lot of soul actually comes true.